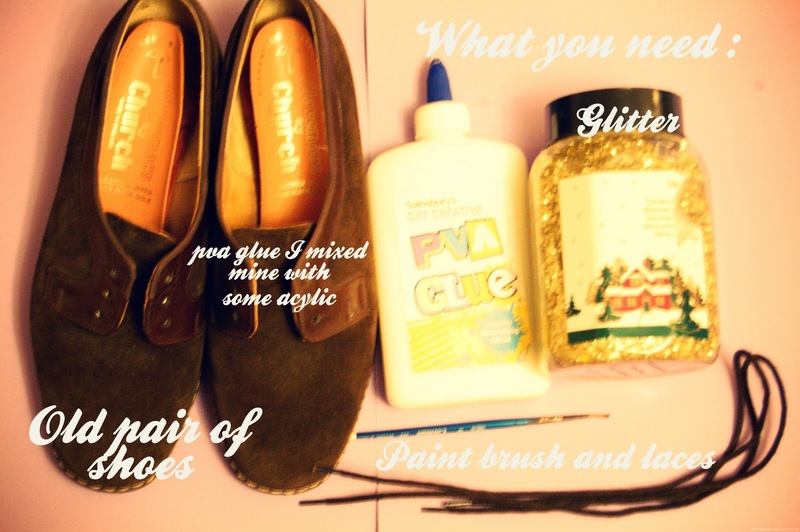 After the glittery shoes i featured yesterday i wanted to add a little sparkle to my rather plain vintage leather shoes, So i thought i would share with you the little process. 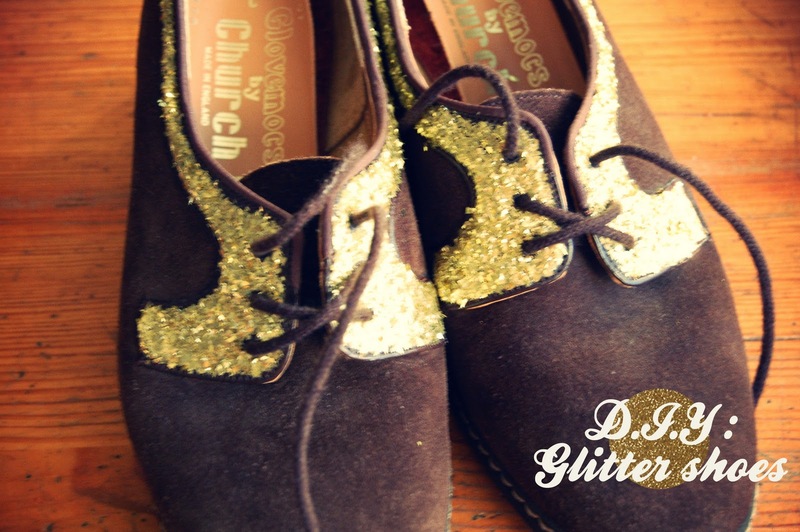 It was really quick and simple but i am loving the gold glitter and sparkle perfect for festive feet. p.s. apologies for my ugly ankles, I broke both of them when i was younger skateboarding and jumping off walls. 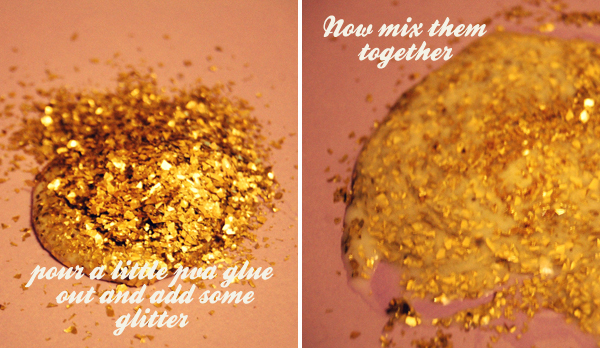 can't go wrong with a bit of glitter! 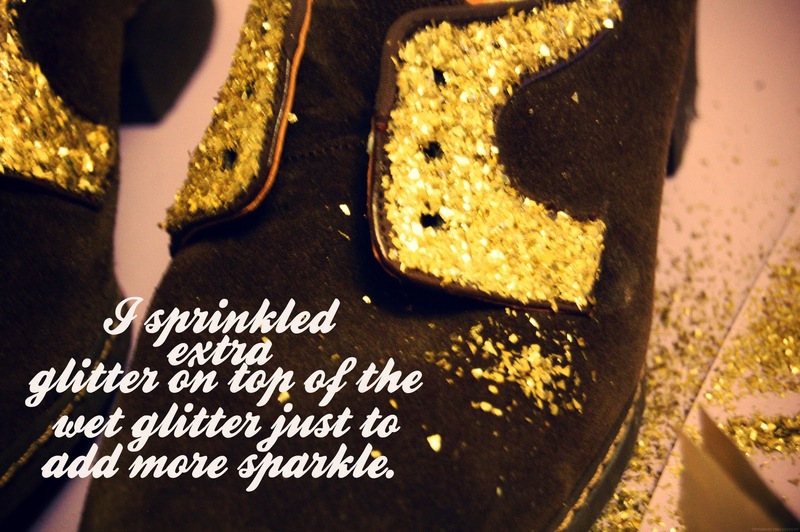 Or a lot of glitter! Such a wicked idea!!! in reference to the skate borading do ever watch that program 'Scarred' its brilliant man. These are so gorgeous! I really want to do this, but I'd probably ruin the shoes! Must go charity shopping to test it out haha. And your ankles are fine! I shuddered at the thought of breaking them though, ouch! Love these so much! 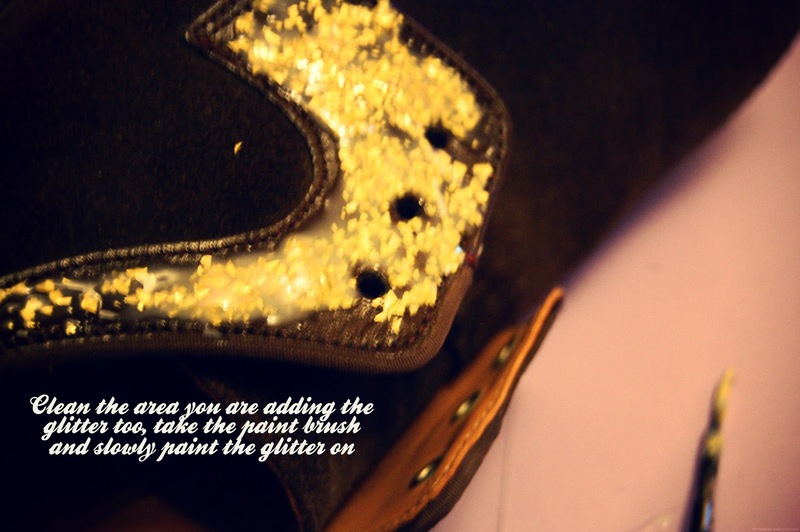 I hope you don't mind, but I used this tip and the last picture in a post for my blog. Don't worry, I linked you and expressed that it was not my picture (with boldness and underlining) but I just wanted to let you know and give you the link. I'm really sorry I didn't ask you first, it completely slipped my mind, and if you'd rather I removed your picture and/or the bit about this amazing tip then I'll do so straight away. I'll check back here for a comment back if that's ok?